This poor person needs help. Drove by this listing today and saw "NOT HAUNTED" on the sign out front! Is there a story behind that? Red Alert: someone has made off with the sign! Money in the back eh? 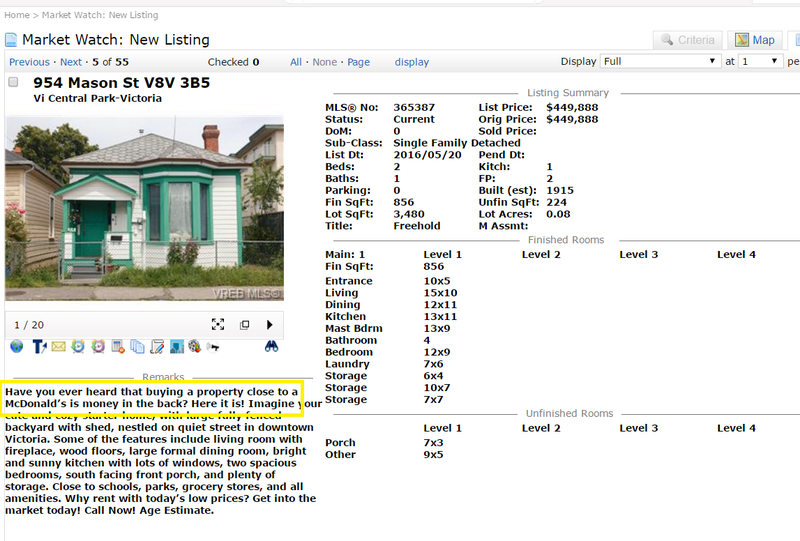 The funnier part of that listing is "Why rent with today's low prices?" Edit: I'm talking about the McDonald's not the pot shops, I actually find the smell from McDonald's much more offensive, can there be a bylaw put in to fix that. Edited by todd, 20 May 2016 - 02:05 PM. ...I actually find the smell from McDonald's much more offensive, can there be a bylaw put in to fix that. But both apparently are able to make people ravenously hungry. Not me, me and Ronald broke up years ago, I'm never going back. In all seriousness a lot of restaurants/food outlets should be forced to clean their greasy/smelly food air better, the region would smell a lot better. I find this listing rather interesting, as the asking price is double what was paid 3 years ago. That's quite a return on 860k if it sells close to asking or more. I nearly put an offer on it 3 years ago! Nice home. Trying to cash in on foreign buyers now expanding their shopping outside of the LMND? Similar to this listing. I drive by it all the time and actually made a point of going to the open house. Sold for 1.69m in 2013, and now offered for 2.788 (down from 2.988). I couldnt see much difference from the place back in 2013 other than some painting and a lot of grass cutting. Its just not in a hot area I cant imagine it selling. There have been some interesting re-lists, but the market can only bare so much.